Adrian "Auidi Aquez" Vazquez is a very creative individual with a goal to change the music industry as we know it. He was born as a blind child in Chicago, Illinois May 19th 1990, the youngest of three brothers. Auidi has faced obstacles all his life and music has always been his escape, but soon became his passion. Family and friends noticed a drive in him from a young age that outweighed most. As a child Auidi can remember singing in the backseat of his parent’s car on cold, windy Chicago nights. His various talents such as singing, songwriting, rapping , involved him in talent shows throughout his childhood. In high school he developed his own Hip Hop group called AMC which fueled his aspiration for a music career. 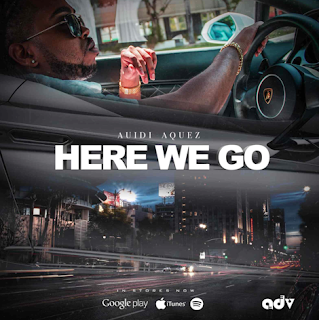 Auidi has been inspired by various artist and genres. Some of those inspirations include the late Michael Jackson, R-Kelly, James Brown, Chris Brown, Jay-z, Marc Anthony, Don Omar, T-Pain, Lil Wayne, and so many more. Auidi is a hard working musician and has been a motivated entrepreneur as long as one can remember. Auidi has built and funded his very own recording studio (Studio21 Recordings) and now finally has established a recording label Artists Dreams Visions (ADV). Anyone that knows Auidi Aquez will tell you that he is destined for greatness. Auidi’s style is like no other artist. He not only can hold a note, he can deliver a great hip hop flow without managing to diminish his motivational content. He can transform his music into something quite memorable. Due to his military upbringing, he was exposed to many different cultures and music. His Hispanic heritage also will shine through his music with various horns and caribbean percussion. Auidi’s goal is to share his dream with the world and inspire future generations to come. Please take the time to visit his music page for his most recent projects.